Ukrainian Cup 2016/17. Round of 16. October 26, 2016. Lviv. Arena Lviv. Att: 1,210. 6 oC. 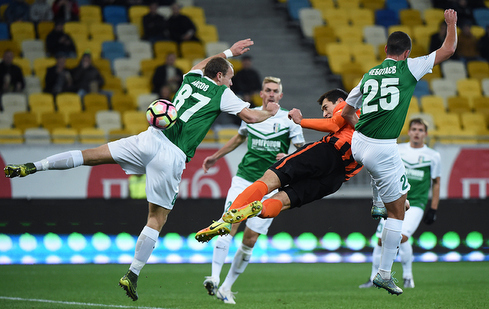 The game vs Oleksandriya was the debut Cup meeting for the Pitmen’s coach Paulo Fonseca. For the first time this season, the goalkeeper Anton Kanibolotskyi and the defender Mykola Matviienko appeared, with the latter taking the left-back position. The midfielder Vyacheslav Tankovskyi also made his debut for Shakhtar in a holding role. The striker Andrii Boriachuk appeared in the starting XI again. Taison led his teammates onto the pitch with the captain's armband on. The current Ukrainian Cup winners got off to a confident start, opening the scoring as early as on 13 minutes. Taras Stepanenko sent a diving header into the back of the net after getting on the end of the hgh ball delivered by Serhii Kryvtsov. This episode was preceded by a set piece by Yaroslav Rakitskyi and Taison's long-range strike, which was parried away by Andrii Novak. Shortly afterwards, the Orange-and-Blacks had two more opportunities to excel. Initially, Taison put Bernard through to the striking position, with Oleksandriya goalkeeper rescuing the team. And in the following attack, Eduardo hit the goalpost. Paulo Fonseca put the stronger players into midfield, with Taison and Bernard actively operating there. They orchestrated the most attacking moves, with Andrii Boriachuk spearheading them on most occasions. In the first half, the play was mainly in Oleksandriya’s half, with the visitors being close to equalising just before the break, when Roman Yaremchuk took advantage of the hosts’ defensive error and shot on goal only to see his attempt go wide. After the break, Dentinho replaced the injured Andrii Boriachuk, with Eduardo moving into a striker position. The pace of play slowed down and the number of dangerous chances decreased significantly. The Pitmen continued their all-out attacks, with the opponents defending well, without leaving any open spaces. On 69 minutes, Vasyl Hrytsuk produced a dangerous shot only to see his ball go just wide. Bernard had a good striking position, but the ball flew in the wrong direction. 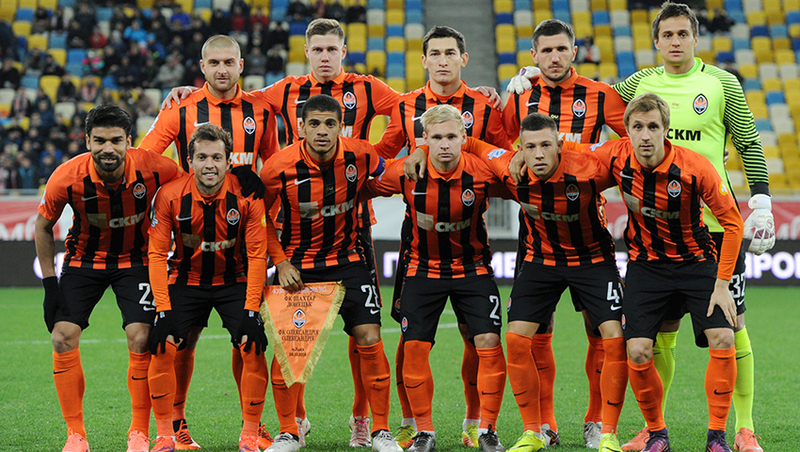 On 81 minutes, Eduardo was replaced by Yevhen Seleznov, and later Taison was replaced by Marlos. The latter destined to double the lead. After the counterattack involving Yevhen Seleznov and Dentinho, the number 11 player beat the goalkeeper and flicked it home. In the closing injury time minute, Oleksandriya pulled one away, with Roman Yaremchuk scoring. The Ukrainian Cup Round of 8 draw is scheduled for 12:00 on October 27. Shakhtar are to play their next game on 29 October. In the Premier League round 13, the Orange-and-Blacks will receive Chornomorets at the Arena lviv. The meeting kicks off at 17:00.